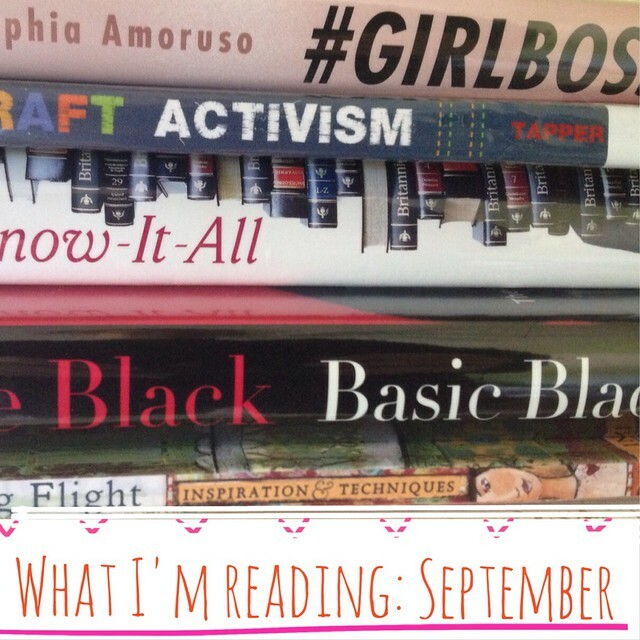 Book of the Month is my FAVE way to find new fiction. Here's my link! 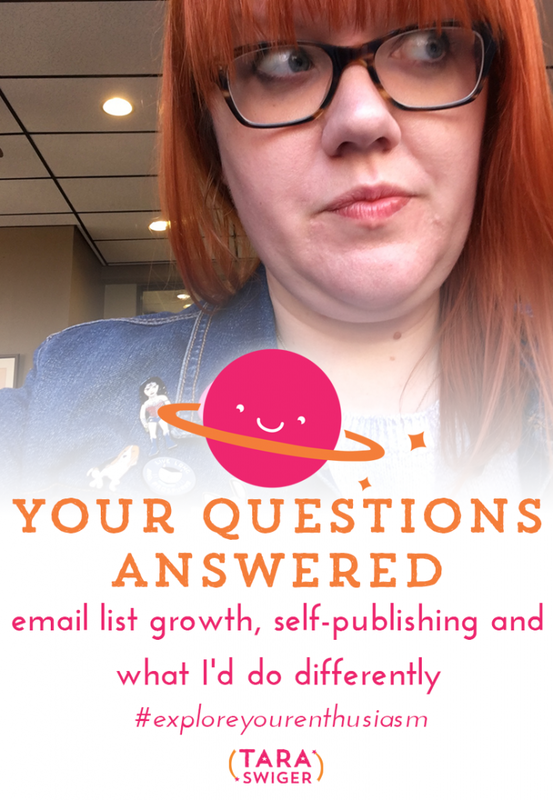 How to grow your email list and publish a book: @TaraSwiger answers! Art of Asking, by Amanda Palmer – This book was recommended to me a million times, and then a thread popped up in the Starship where Captains started reading it together. Oh man, it is just so good if you're an artist or maker who has a hard time with the exchange of your art for money. Amanda built her tribe, person by person, hug by hug, at hundreds of shows and she shares in this book about how she built the relationships. I highly recommend it (if you're not easily offended!). The Art of the Book Proposal, by Eric Maisel – I've been working on a proposal all quarter, and this book is keeping my company. Unlike a lot of other books about the parts of a proposal, he digs into how to think about it, which I love. The 4 Hour Workweek, by Tim Ferriss – I read this waaay back in 2009 when I first left my day job. I wanted to revisit it to see if it's a good resource for my clients, and this time I took completely different lessons from it. It's a classic and bestseller for a reason. It's Not About The Money, by Brent Kessel – I talk a lot with my students about their issues with money, and this book, which identifies different archetypes that we approach money with, provided a great new perspective at these issues we all have. Identify the person who will love it and buy it (I call this your Right Person). Figure out what she cares about and why she buys your product (in the beginning you’re guessing; as you get more sales, you’ll ask her directly). Explain how awesome your thing is, in terms she understands. Go where she already is and talk to her there. I heard back from lots of you that you KNOW you should be doing this, but it just feels overwhelming and like a lot to keep track of. But it doesn't have to be. In fact, all these pieces can fit together into one plan, that you implement day in and day out, without worrying too much about it. Yes, it takes time, energy, and commitment to set it up, but once you have it… it just works. You know what to do, every day. You'll continue to test it, improve it, and work it… but first you have to have it. This knowing what to do thing feels AWESOME. It helps alleviate so much of the doubt and second-guessing you've been struggling with. It focuses your working time. It allows you to be consistent, which builds trust with your people, expands your reach, and – yes – leads to more sales. 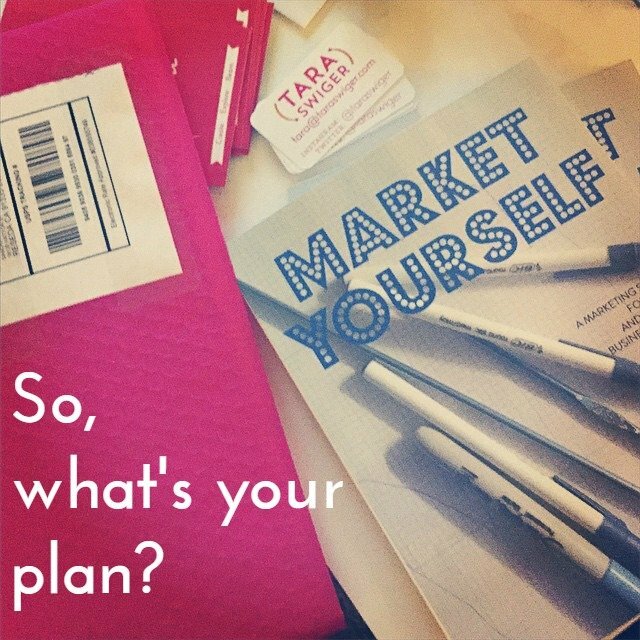 A marketing plan helps alleviate the doubt and second-guessing you've been struggling with. This plan for reaching people is called….a Marketing Plan! (Imagine that!) Remember: Marketing = any communication you have with your people. So this is just a plan for reaching your people on the regular. You see, your marketing plan can be as big or small as you need it to be. I added new stuff to the list all the time to see what might work, but knowing the absolute minimum kept me focused when things got busy. What you can't see from the list is the time I spent finding my possible customers (knitters who knit with handspun yarn…which was harder before Ravelry!) and figuring out what groups or tags would help my yarn be found by more people. But once I did that … I just followed the plan. Know what makes you and your thing sparkle (stand out from everything else). Identify who some of your people are, what they care about, and where they hang out. Choose the methods you'll use to reach them. Put it all together in a plan that you implement, day in and day out. If you'd like guidance and a clear path for making your own plan, check out Craft Your Marketing. In this 6 week e-course you will identify your sparkle, find your people, choose your tools and then make a simple, post-it worthy marketing plan that will bring you more fans and more sales. You don’t have to do this alone. I’m here to help with audio lessons (and enhanced transcripts! ), worksheets, and FUN. If you don’t know what you’re doing TODAY to connect with your people (or who they are or what to say), I hope you’ll join me in class: https://taraswiger.com/craft-marketing/. Show Your Work, by Austin Kleon. I wanted to post almost every page of this book and say: Yes! Yes! If you don't know how to start sharing your work or using social media, read Austin's book. It's less specific than my book, but has the same message, in such an inspirational package. Not My Father's Son, by Alan Cummings. Not a “my fab celebrity life” memoir at all, but a close, compassionate look at his two family stories: the results of his abusive father & the uncovering of the mystery of his mother's father. It's sweet and authentic and brave. Yes, Please, by Amy Poehler. Funny and sweet, Amy gives some good life advice that you probably already know. The Color Purple, by Alice Walker. 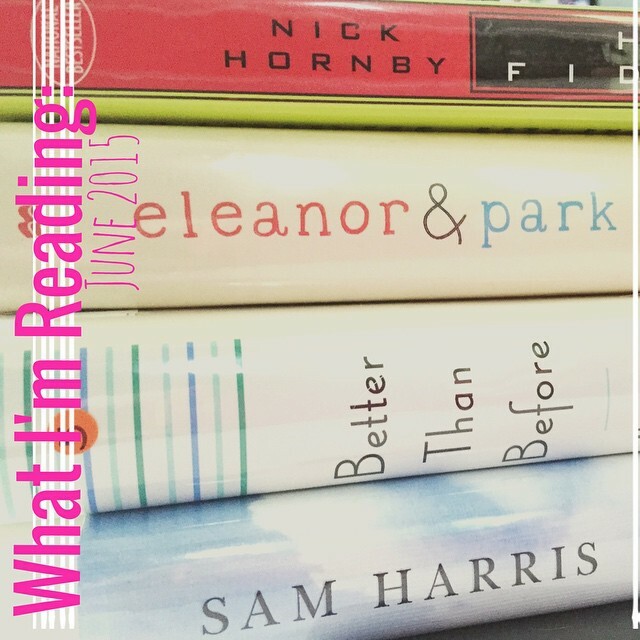 Part of my Good Reads Project – what took me so long? Choose Your Own Autobiography, by Neil Patrick Harris. 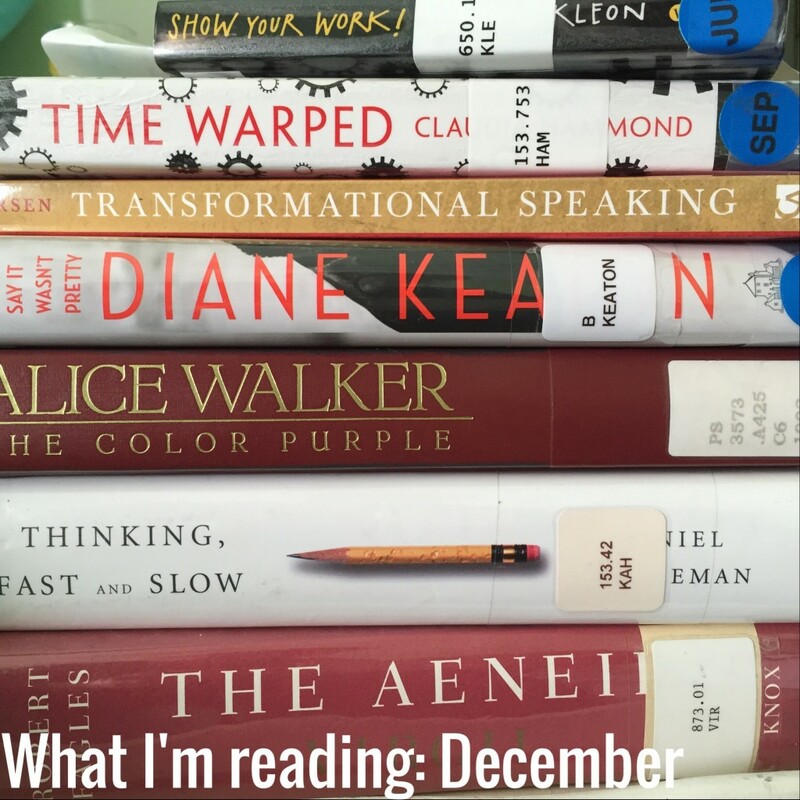 This month I got a bit further in the Aeneid (I'm taking it slow, a “book” or two a month) and plowed through The Color Purple in a few days while travelling. Why in the world had it taken me so long to read this book? It's a beautiful reflection on self-definition and finding your voice as a woman and creative. This book reminded me WHY I'm doing this project – to find beautiful gems I've missed. The Know-It-All, by A.J. Jacobs. A fact-filled recounting of the author's read-through of the Encyclopedia Brittanica. Read it (and put his other books on my list) at the recommendation of Elise. Deep Thoughts from a Hollywood Blonde, by Jennie Garth. Don't judge. I grew up on summers full of 90210 and can't resist a biography…especially by a fellow blonde. One Hundred Years of Solitude, by Gabriel Garcia Marquez (still reading it, actually). Umm…and that's it. 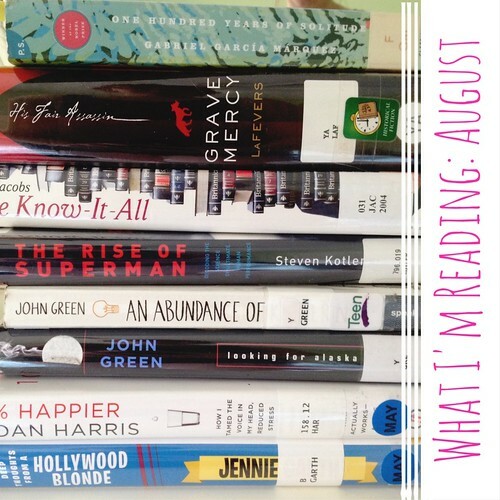 Apparently my reading time takes a dive in the summer with all the road trips and my increased crafting. (Baseball season = crafting season). Make it Mighty Ugly by my pal Kim Werker. YAY! I got obsessed with the idea of reading the Great Books – you know, the books that have formed the foundation of our culture, that teach us something about ourselves…those books that everyone else read in high school and college that I missed. 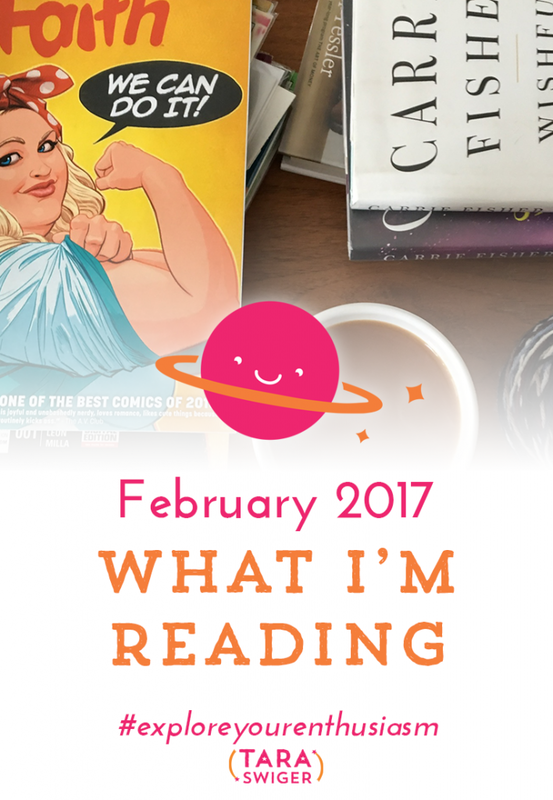 You can see my list of 101 Great Books here (some of which I’ve read, thank goodness!). But now – what the heck should I do with this list now? Read through it in a year? 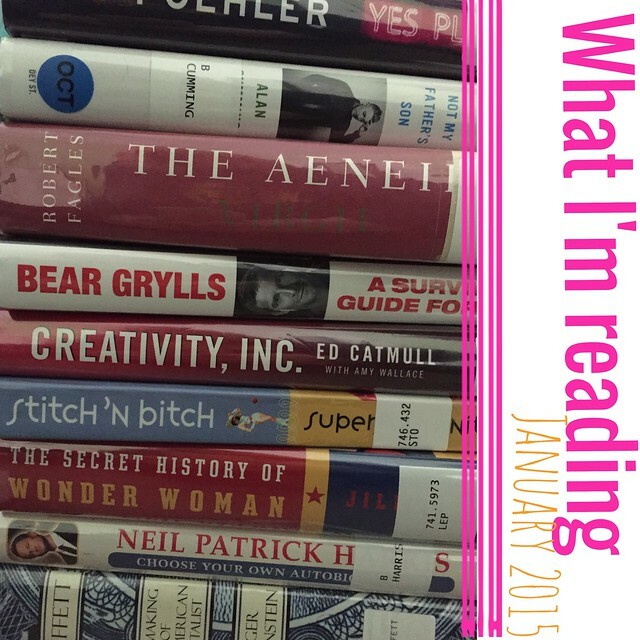 Read one a month? Where would you begin? Some of readers said that if I started a Great Books read-along, they'd join in. What about you? Is this something you’d want to read on the blog (once a month) or follow along on Facebook? Influence, by Robert Cialdini – This book covers the basics of how we're convinced to do things, along with tips to resist influence. This will totally change the way you view commercials, websites, and the world. Required reading if you want to be an effective communicator! Mindless Eating, by Brian Wansink – Confession: I will read anything about why we do things and how to change habits. This book is super educational on just that. 10X Rule, by Grant Cardone- After hearing the author on one of my favorite podcasts, I couldn't resist reading his book. His style is a far cry from mine, but his point – set bigger goals and work 10x harder than you think – is solid. I didn’t get a lot of reading in this month, because I spent most of my time writing and editing my new class materials! But now – what the heck should I do with this list now? Read through it in a year? Read one a month? 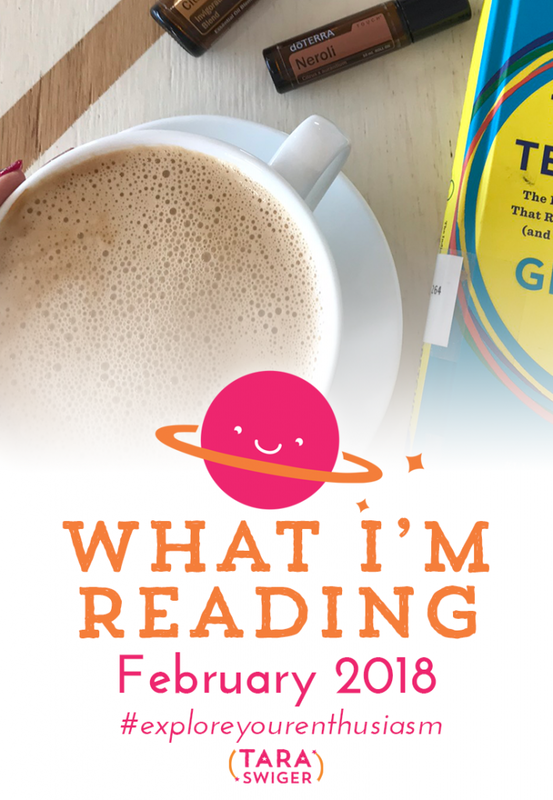 Where would you begin?I got a few replies last month from makers saying that if I started a Great Books read-along, they'd join in. What about you? 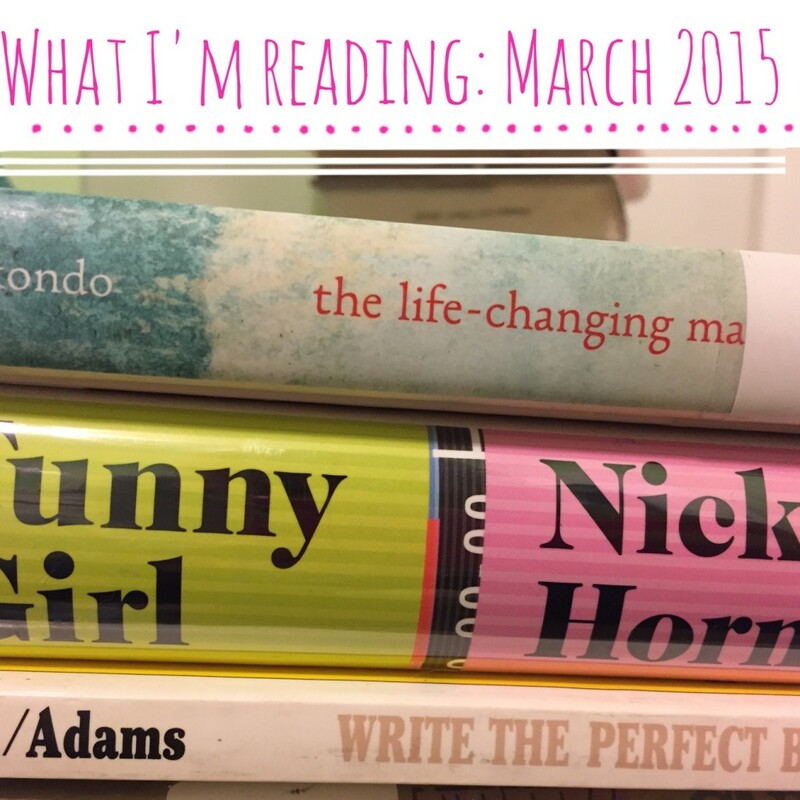 Is this something you'd want to read on the blog (once a month) or follow along on Twitter? Or Facebook?